Celebrations on Cinco de Mayo often turn into tragedy as drunk driving and reckless behaviors threaten everyone on the road. The holiday period from 6:00 PM May 4 to 5:59 AM May 6 is especially dangerous, with DUI crashes involving serious injuries and fatalities impacting the lives of hundreds of people every year. Injured parties are entitled to compensation for their medical expenses and other damages caused by the negligence of drunk drivers. Cinco de Mayo celebrates Mexico’s 1862 victory over France in the Battle of Puebla during the Franco-Mexican War. In the United States, the holiday has become synonymous with festive parties, margaritas, and Mexican food. However, Cinco de Mayo is also becoming synonymous with increased DUI accidents and fatalities because of partygoers that drink and drive. According to the National Highway Traffic Safety Administration (NHTSA), there is an increase in DUI accidents across the nation during Cinco de Mayo as partygoers take to the roads. In analyzing crash fatalities from 2010-2014, the NHTSA found that more than 33 percent of accidents during Cinco de Mayo involved a drunk driver with a BAC of .08 or higher. During 2014 alone, there were 343 crash fatalities during the Cinco de Mayo weekend. Almost 20 percent of the drivers involved in those crashes had BACs of .15 or higher, which is almost twice the national legal limit. While drunk-driving fatalities decreased each year during the period studied by the NHTSA, any fatality caused by a drunk driver is too many. Of the crash fatalities that occurred during Cinco de Mayo in 2014, only about 70 percent of the drivers involved in the accidents were completely sober with .00 BACs. While those drivers were doing the responsible thing by not driving drunk, they lost their lives because of people who chose to drive under the influence of alcohol. Buzzed driving is drunk driving. It is never okay for anyone to drive while impaired, even if they have only had one drink that has left them buzzed. While it is illegal to drive with a BAC of .08, drivers could feel the effects of alcohol with lower BACs. They may experience impaired alertness, focus, coordination, and judgment. The risk of getting in a crash increases once a driver’s BAC begins to climb between .04 and .05 and then rapidly accelerates. Once a driver’s BAC reaches .06, the likelihood of becoming involved in a fatal crash is twice that of a driver with a zero BAC. Drivers with a .08 BAC are 11 times more likely to die in a single-vehicle crash than drivers with zero BACs. 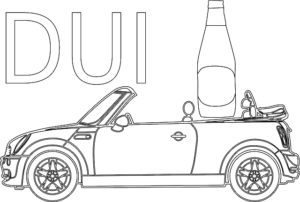 In Illinois, the average DUI offender is male and 34 years of age. He is caught driving with a BAC of .16, which is twice the legal limit, between the hours of 11 PM and 4 AM during the weekend. Additional penalties could be assessed if severe injuries or fatalities occur from the accident. The penalties that a driver will face from a DUI accident that results in fatalities or significant injuries are severe and could be classified as felonies. If a driver is convicted with an aggravated DUI charge, he or she may be subject to a minimum of 480 hours of community service and at least 10 days behind bars. When a fatality occurs in a DUI accident, an impaired driver could be charged with reckless homicide. Depending on the circumstances and location of the crash, the driver could receive a minimum of two years of prison time or more. Those who plan to be on the road during the Cinco de Mayo holiday should remain vigilant and be aware of the dangers of drunk or buzzed driving. People who plan to drink should make arrangements to get home safely. Having a designated driver, taking an Uber, Lyft or taxi home, or staying put can save lives. Since impaired walking is dangerous too, people should find a sober friend to help them get home if they choose to walk. Drivers who observe people they suspect of drunk driving should contact law enforcement when it is safe for them to do so.